By collections/exhibits intern Cara Bennet. To read more posts from JMM interns, past and present, click here. As I’m working towards my Masters in Museum Studies this question continues to haunt me. In his book, history professor Steven Conn poses the question “do museums still need objects?” In our age of rapidly changing technology, virtual reality and high-tech interactives threaten to overshadow and replace documents and artifacts in museums. Museums have come a long way from their early days of displaying “cabinets of curiosities.” Museums today place a much greater emphasis on education and visitor experiences which benefit from incorporating a variety of methods for conveying information, not just objects. While many museums have begun to fill their galleries with touch screens, photo booths, virtual reality experiences, and interactive stations, I strongly believe that museums still need objects. Objects are powerful. Objects connect us to our past. Objects have witnessed history. Objects are symbolic. Objects are iconic. Objects are meaningful. Objects speak to us on a level that words cannot. Anyone who has ever visited a museum can remember a particular object or objects that truly resonated with them. An object that struck them for one reason or another and stuck with them over the years. 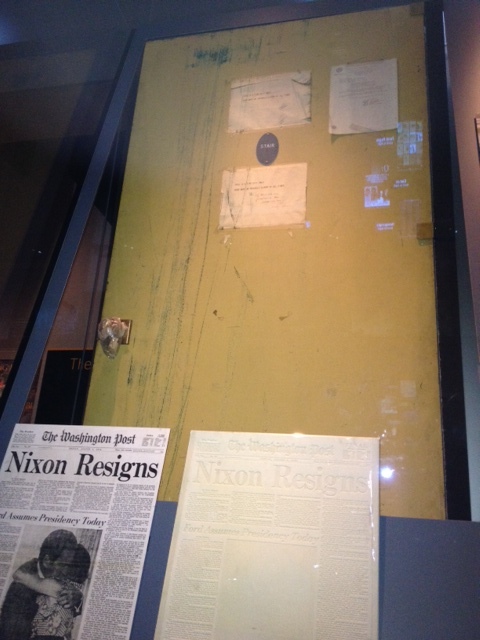 One of the first objects to give me this feeling was the Watergate door at the Newseum. I know it sounds really weird, especially because I wasn’t particularly interested in political history, Nixon, or the Watergate scandal at the time. I remember standing in front of the door and being inexplicably awestruck. I turned to my dad and said “Wow! That’s actually THE door?” I had remembered reading about Watergate in my history class and it suddenly hit me that I was standing in front of an object that played a role in a significant moment in U.S. history. “Wow! That’s actually THE door?” Image via. 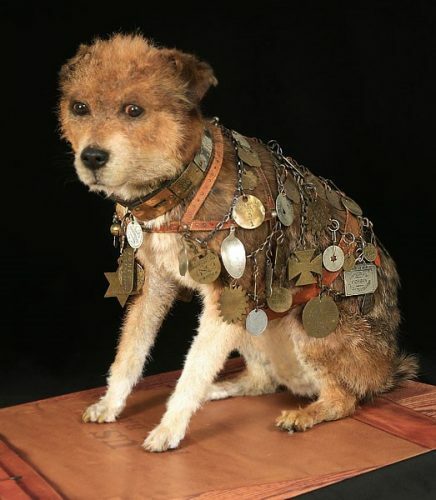 Another object that holds a special place in my heart is Owney the dog at the National Postal Museum. This is another tough one to explain to people. Yeah…my favorite museum object is a taxidermied dog. While he was alive, Owney, a scruffy mutt who liked the scent of mailbags, became the Railway Mail Service’s unofficial mascot and good luck charm once he started following the mailbags onto mail wagons and mail trains. Owney traveled all over the country and even the world. Mail clerks recorded his trips by adding medals and tags to his collar signifying each new place he visited. After Owney died, mail clerks raised money to have him preserved to memorialize him and commemorate his service. While I feel weird about taxidermy, I absolutely love this dog and his story. Whenever I’m near the Postal Museum I’ll run in just to say hi to my pal Owney. Image via. While I’m only a week and a half into my internship here at the JMM I’ve already had the opportunity to browse our collections database. I am thrilled by the variety of objects I’ve seen. As I continue to explore our collections I’m patiently waiting to stumble upon “my” object. The one that speaks to me. The one that will stick with me. Do you think museums need objects? Do you have a certain object that has really resonated with you? Tell us about it!